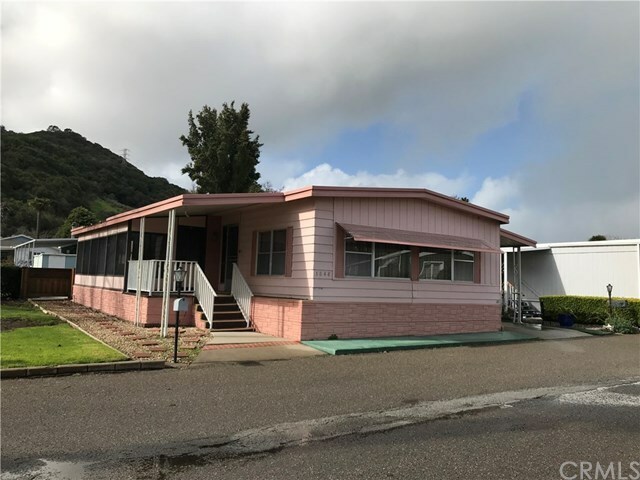 This spacious doublewide mobile home is located on a great lot close to the club house in Laguna Lake Mobile Estates. It features a very large living room and family room with an additional cabana room. The kitchen and bathrooms are in very good condition. The home also has a large, fenced backyard patio and a large carport that can accomodate two cars. There is a large storage shed at the rear of the carport. This home has very affordable space rent of only $607.92 per month.